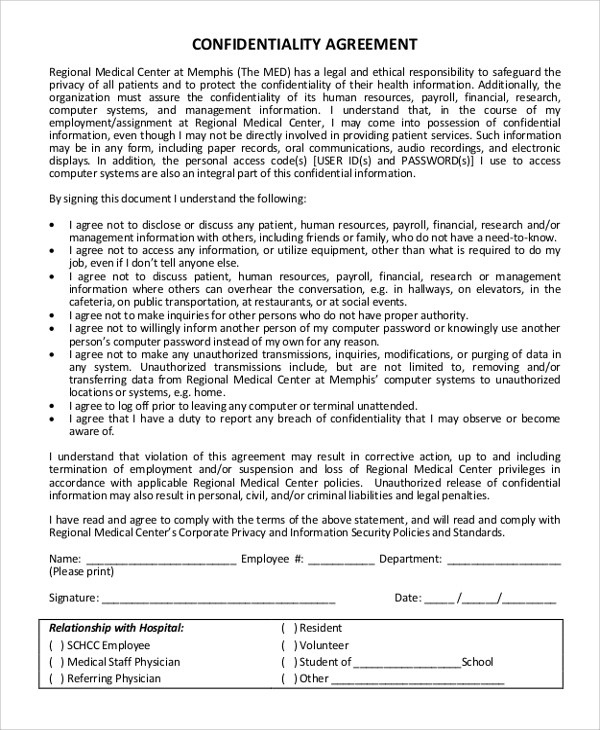 This kind of confidentiality agreement helps one to preserve the secrets regarding any professional or business issue. One can include the trusted people in this list so that the secrets does not get revealed. 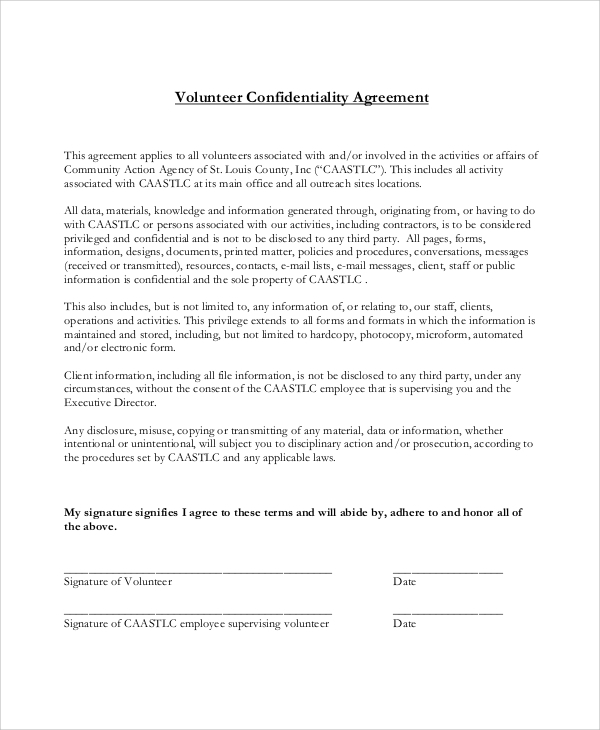 These kinds of Sample Agreements are often used to share a certain confidential information with other organizations or companies. The exact date, the name of the people engaged and the type of business with details must be mentioned. 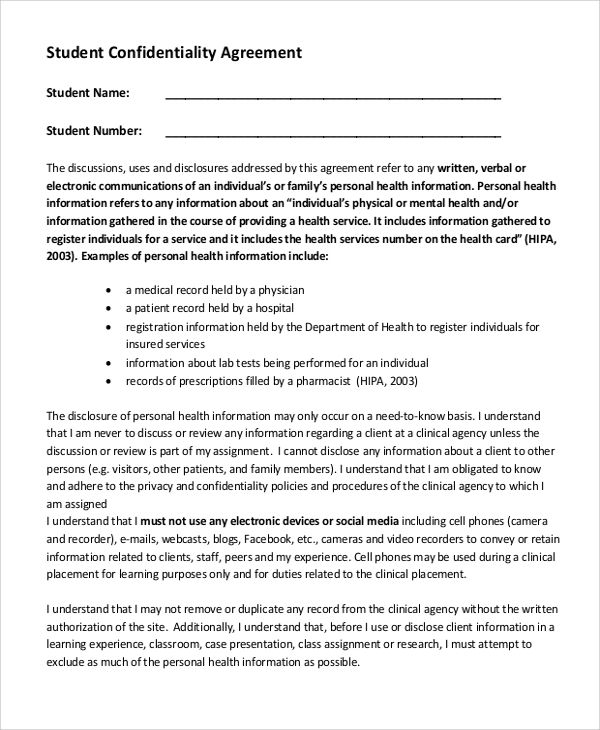 In this kind of confidentiality agreement form, one must include the health details of the patient and the following treatments as recorded by the hospital authorities in a legal format. 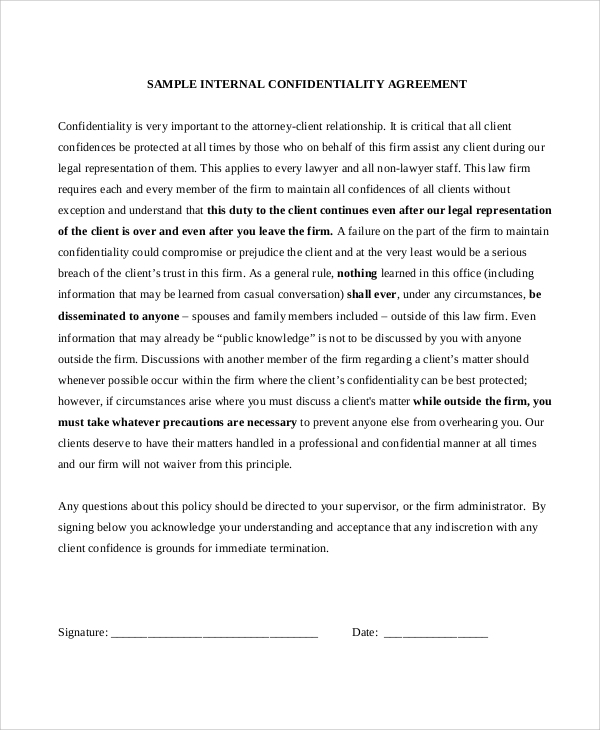 This type of confidentiality agreement consists of information like company’s methods, techniques, and upcoming projects. The financial data and promotional plans are also included as confidential in the particular agreement. 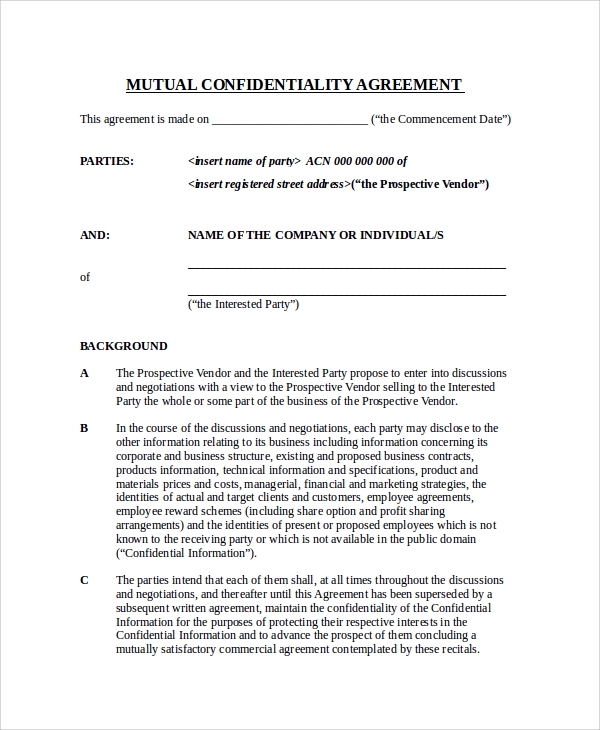 This agreement is made between two partners regarding the following deal which is not revealed to the other members. All the information, along with company’s name must be given. 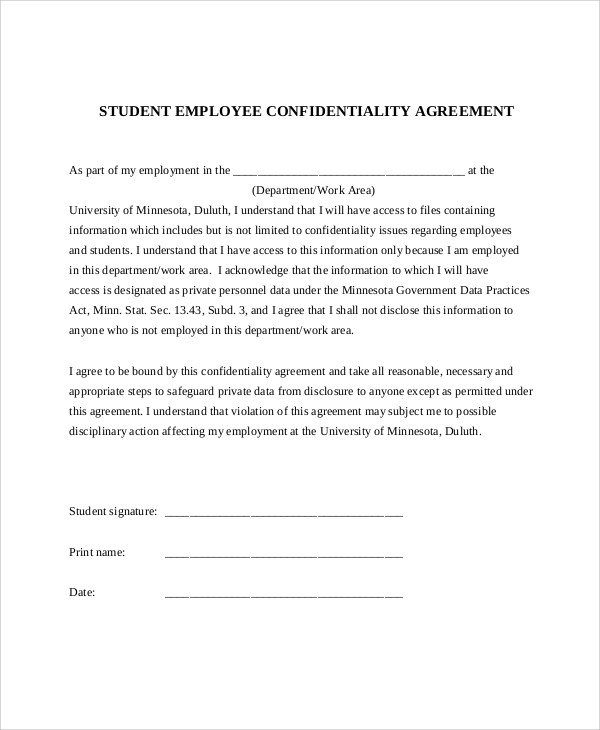 You may also see the Non-Disclosure Agreement Samples. 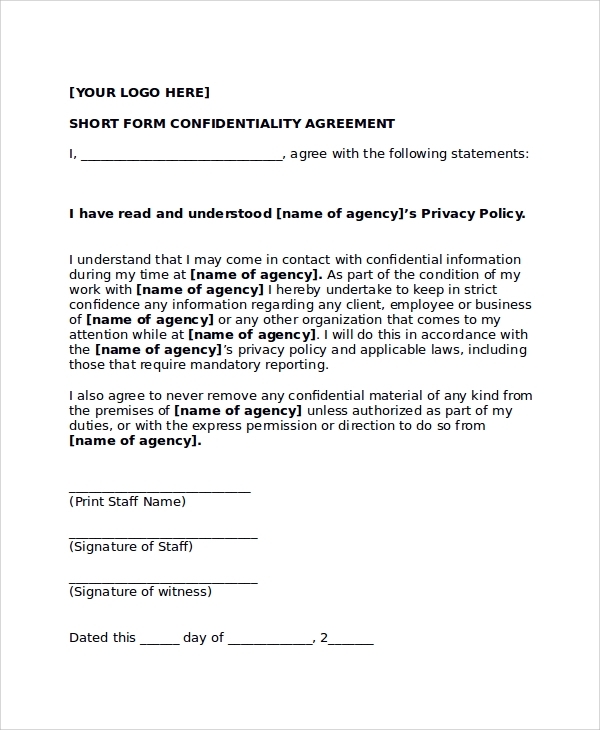 This Confidentiality Agreement allows the professionals to secure their properties or business agreements from any third party. 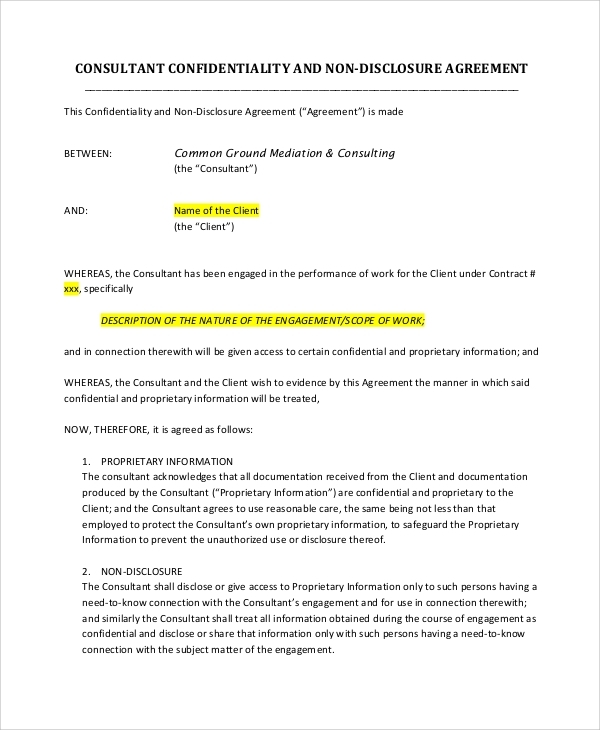 It is also called as a non-disclosure agreement, often done between two partners involved in a particular business. 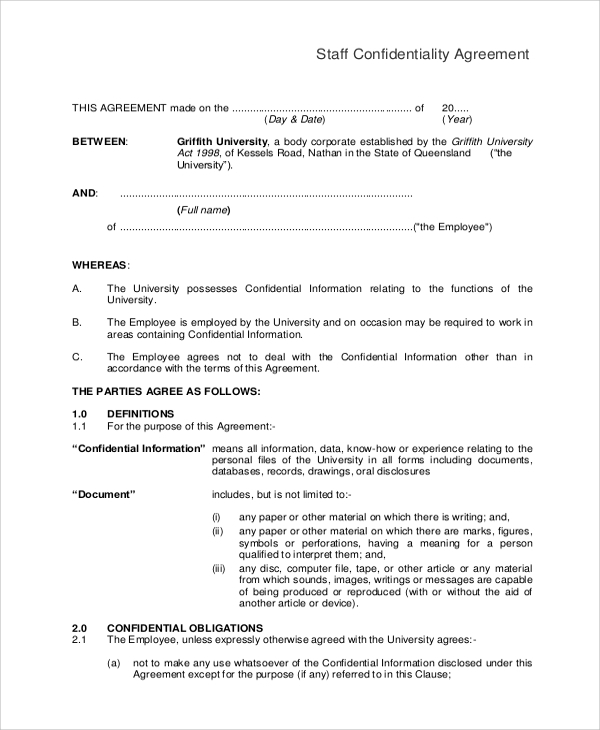 This agreement includes business secrets like business projects or deals, import or export information or the marketing strategies which, if revealed, can lead to actual loss of the business. All the laws and methods are followed while preparing such an agreement where the lawyers play an important role and explain every single detail along with the major advantages and disadvantages of the particular agreement. 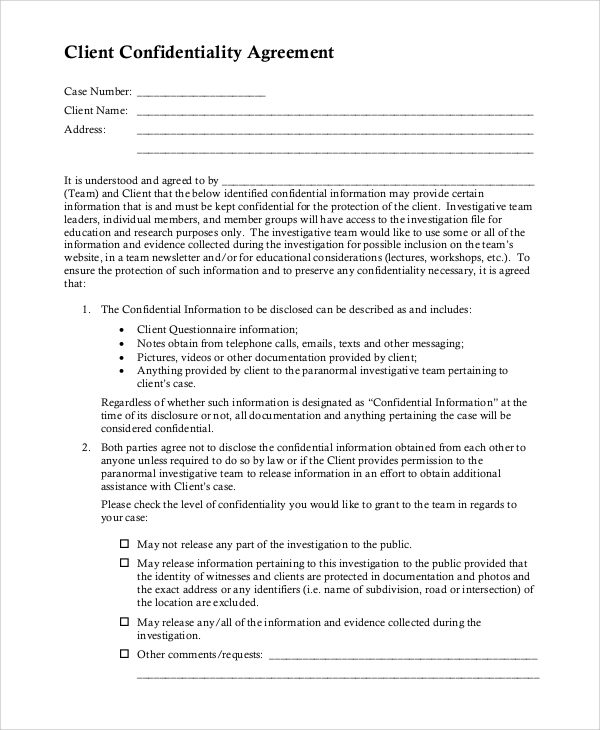 It is the agreement where the particular organization does not have the permission to reveal any information regarding the client to any other person without provided consent of the client. The policy of this agreement is also the same with the previous ones. This includes the staffs of the company where they are not allowed to share anything with others. The people targeted in this case of an agreement are mostly the business persons or authorities of companies. This gives major service to the professional world. Business persons often get into various business deals with several partners for the development of their company, but there are some information which, if revealed, can harm the particular business service. One needs to do a thorough study of the Standard Employment Agreement Samples to get a better idea of this prospect. Learning such a legal process can help one to save the business from any professional complexities. 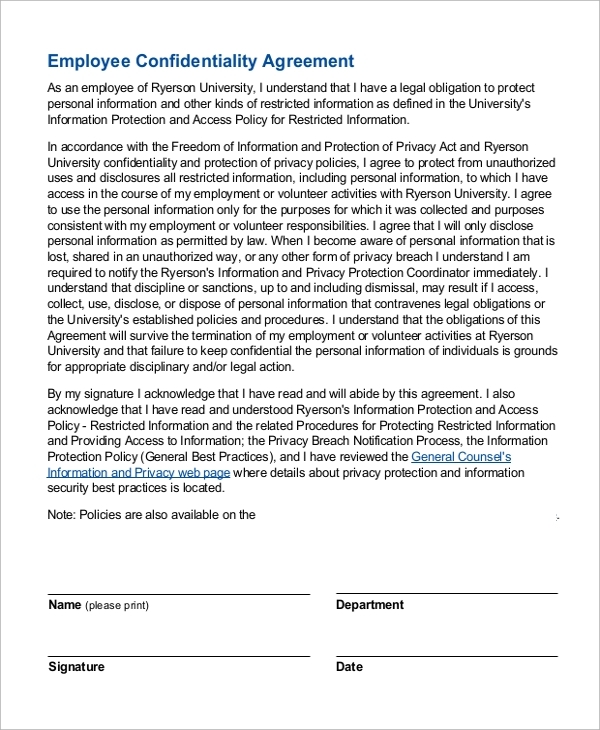 Further, keeping the information confidential also contributes to making larger profits.